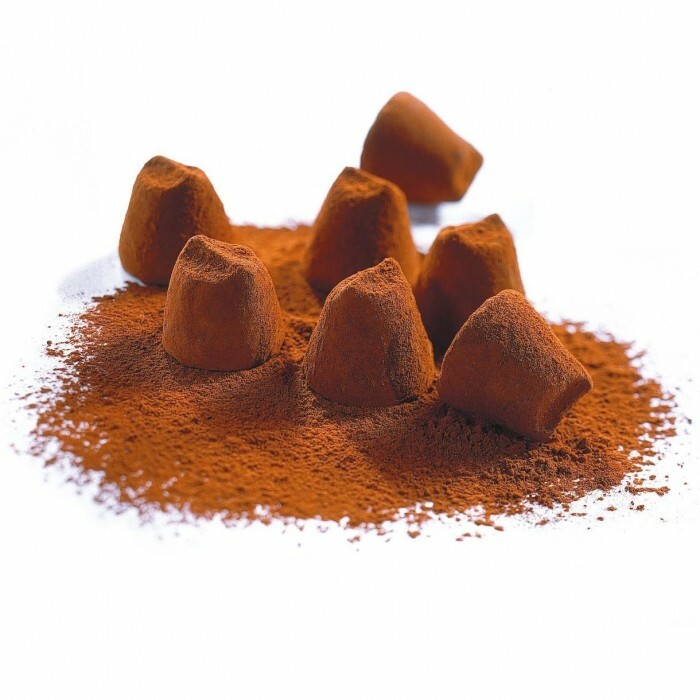 Vegetable fat (coconut oil, palm kernel oil), sugar, low fat cocoa powder, whey powder, cocoa powder, emulsifier: soy lecithin. any traces of almonds, hazelnuts, pistachios, egg and gluten. 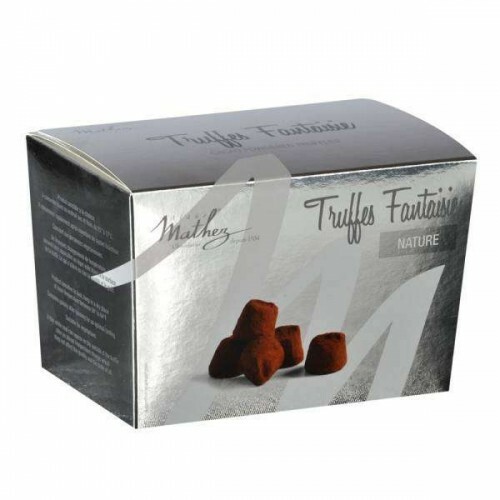 Mathez Happy Box Original 250g - wonderful powdered trufflesIngredients:vegetable fat (coconut oil, ..
Mathez Fantaisie Metal Chili 250g - Mathez cocoa dusted truffles with chilli notes..
Mathez Fantaisie Metal Cocoa Beans 250g - Mathez box of chocolate Fantasie with cocoa beans chips..
Mathez Fantaisie Metal Cookies 250g - Mathez box of chocolate Fantasie with authentic bits of biscui..
Mathez Fantaisie Metal Marc of Champagne 250g - The Marc of Champagne truffle is the worthiest of Ma..
Mathez Fantaisie Metal Mint 250g - Mathez great truffles, now with mint hints..
Mathez Fantaisie Metal Pistachio 250g - A small box containing the essence of pistachio – A crispy t..
Mathez French Collection Original 200g - wonderful cocoa powdered truffles - plain or flavored, you'..
Mathez French Collection Flavored 200g - one single box to find as many flavors as you want. Just ch..
“Les Parisiens” by Mathez is a collection that focuses on Parisian elegance. A modern range that use..
A packaging with an original shape! 4 metal tins dedicated to 4 emblematic recipes of Mathez ‘ brand..